I hope you all had a great weekend. My mind have been occupied with a few major changes which might occur in the months to come. This must be why I have been doing some uber-stupid things I have never done before. To give you an example, I was getting ready for bed and grabbed my eye cream, got a pump of it and distributed to both of my ring fingers to apply on both of the eyes at once. Then... I smeared it all over my glasses because I forgot I was wearing them! Gosh, it took me a good amount of washing and rubbing to get them off! Have you ever done such a thing or something similar? Guerlain has a small but cute collection this year, which may especially please those who like aqua colors and right dose of bronzers. I have reviewed and compared the lovely nail polish here. Today I would like to write my thoughts about Terracotta #02 Natural Blondes which comes in a special sleeve and Rouge Automatique #662 Fluo Stiletto. Guerlain released a limited edition version of their original Terracotta with water resistant sleeves. Terracotta #02 Natural Blondes comes in a turquoise sleeve while #03 Natural Brunettes in a coral one. The sleeve can also be taken out and placed on the other similar Guerlain products. I find the idea lovely but wished that one would select the color of the sleeve and that the sleeves would be offered as a stand alone item so that one wouldn't have to buy another bronzer to get to one. Also I experienced that the sleeve is rather loose and opens up at sides by itself, such as in the photo below. You can see that the sleeve at the backside of the lid got loose. I suspect the sleeve might go off in my handbag. The powder is very finely milled. 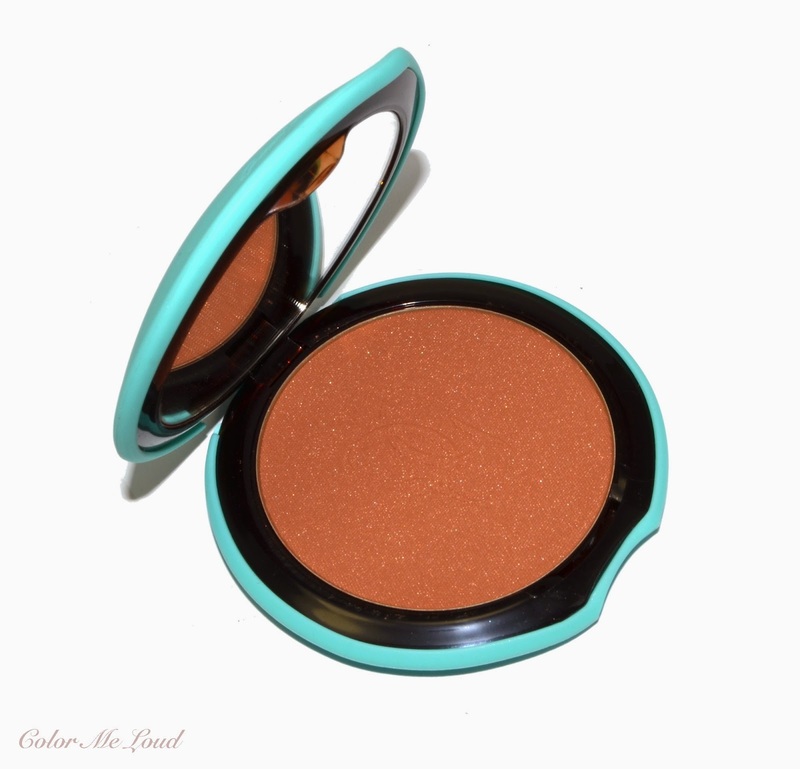 Guerlain is known for their bronzers, Terracotta is one of their best sellers for a good reason. The shades of the original powders though are very intense and warm. I recommend these powders starting from medium skin tones. On me I need a very careful application to make it work and avoid that it looks orange. Here are some comparison swatches for Guerlain Terracotta #02 Natural Blondes, which is one of my warmest and densest bronzers. If you are searching for bronzers with less intensity which would work for lighter skin tones, then check out Guerlain's 4 Seasons line. Terracotta #02 Natural Blondes is almost as intense as the deepest shade 08 Ebony of Guerlain 4 Seasons, which is more red. Smash box Deep Matte (reviewed here) is slightly lighter and much cooler. The Balm Bahama Mama is a little deeper and much cooler. Hourglass Ambient Lighting Bronzer and Chanel Lumber D'Ete (which are very close, Chanel reviewed here) are both lighter. 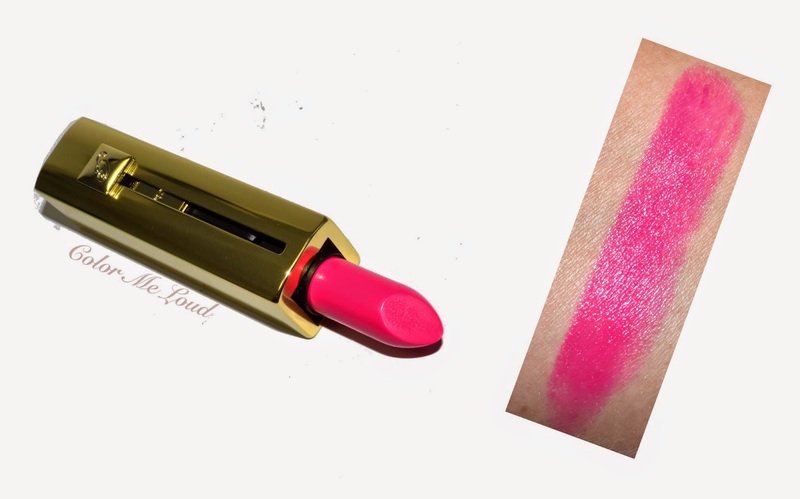 One of my favorites from Guerlain's Summer Collection is Rouge Automatique #662 Fluo Stiletto which gives the right punch of color to a sun kissed face. I love Rouge Automatique formula, it is a great lightweight formula which is not very hydrating but doesn't dry my lips and it is very comfortable to wear. The lasting powder of Rouge Automatique #662 Fluo Stiletto is phenomenal on me. Even after eating it leaves a nice stain on my lips. After the second application, it gets even better. I love this hot pink and know that I will use it very often this summer. 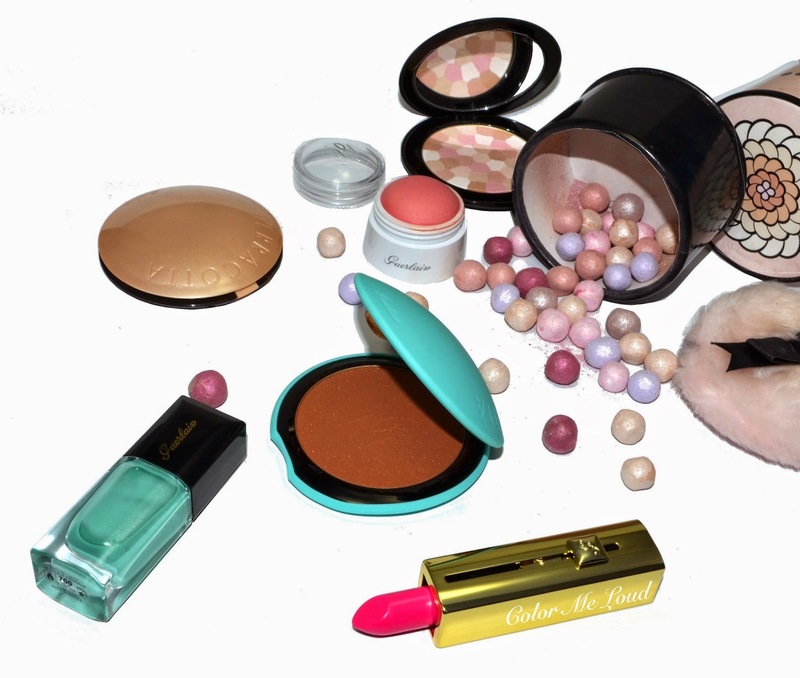 Here is my Guerlain Summer 2015 look. I used Burberry Wet & Dry Glow Gold Pearl (reviewed here) for the eyes because the collection has a liquid golden eye shadow. On the cheeks I have Guerlain Terracotta #02 Natural Blondes and Guerlain's cream blush from last year. On my lips I am wearing Rouge Automatique #662 Fluo Stiletto. You can see all the products used in this look here on my Instagram post. Here are my picks from Guerlain Summer 2015 look. There is also a lovely green eye shadow which is tempting me but I managed to stay strong since Dior ones from a few years ago made an allergic reaction on my lids and I don't want to take any risks. The shadow goes so good with the nail polish though. Check out Melanie's swatches of the nail polish and lipstick at mel-et-fel. Final thoughts: The gummy sleeves for original Guerlain Terracotta is a lovely idea, just wished they would hold on to the product better. I also wished one could select the colors and that the sleeves could be purchased separately. Both of the offered shades are very dense and warm so if you are fair, I recommend you check out 4 Seasons line instead. I am in love with Rouge Automatique #662 Fluo Stiletto. It is a lovely hot pink in one of my favorite formulas. The longevity is especially impressive. 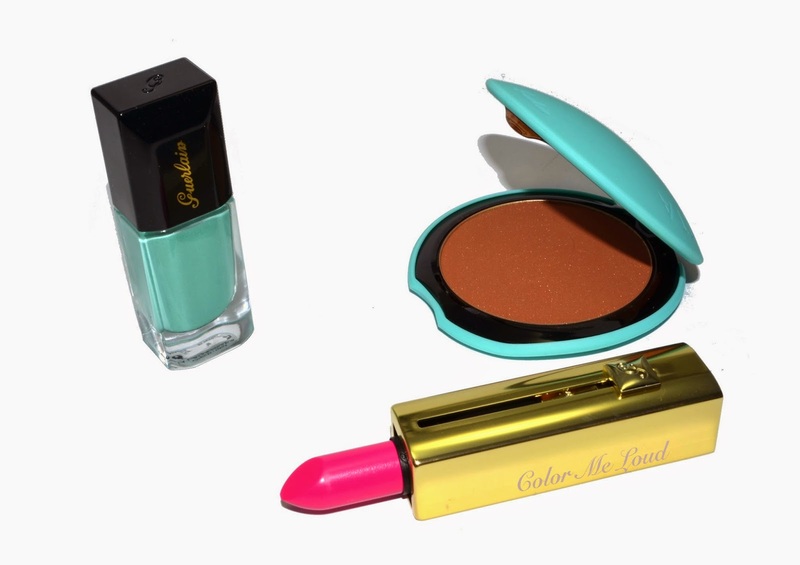 Are you eyeing anything from Guerlain Summer Collection? Disclaimer: The products in this post were sent free of charge for consideration purposes. Ooooh sleeves! Now that is a nice idea even though it seems that it needs tweeking. Also, that hot pink looks fantastic on you! What shades would you compare it to? I hope they do these case covers another time and make them a separate item. I like the idea but I'm far too pale for both of those colours. Hahaha, you are so right. I was thinking the same. Think about it when some water would drop inside or it would get humid. Lipstick is definitely very summary. It is not too cool although has a tad of purple in there, is this why you think you can't pull it off? I was thinking the same. I wished they would have different slaves which would also fit 4 Seasons bronzers, which are far lighter than these. Terracotta ones are really hard-core. I knew you would like the pink lippie! It is also very long lasting and a bit cooler than my other hot pinks soI will be wearing it very often. The nail polish is very pretty! The bronzer is too orange for me and I hate, hate Rouge Automatique since I had one that basically disintegrated within two months, into a kind of yucky liquid and wax mixture. I still shudder at the grossness!! Oh I never realized those were rubberized sleeves!! LOL, they really should sell them separately! Loving more hot fuchsias on you, Sara! I have never had a Guerlain bronzer, I don't actually have that many bronzers in general. But this one would be definitely too orange and too dark for me. I do love the lipstick though. 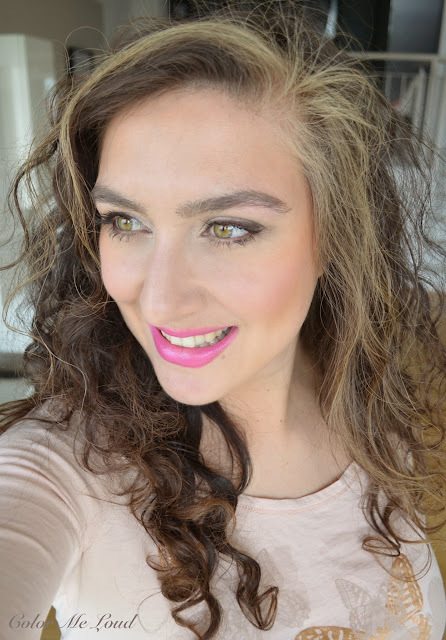 I will take a hot pink lipstick anytime, any day! I am excited to hear about these big changes!! It happened to me before that I was about to take off my makeup, only to find out I am still waiting my glasses, lol. Guerlain makes the best looking bronzers, IMO. And what a gorgeous collection! And you have a big collection of bronzers too :-) I don't wear them much, but I'm starting to want to, from all these beautiful posts! Oh hahaha, this doesn't sound pretty! Seriously Sara, I actually just forgot it in my drawer for a couple of months as I do with all products at some stage, and when I came back to use it I saw moisture seeping out of the top. I tried to wipe it off with a tissue and came away with a few chunks of coloured wax and even more seeping fluid LOLOL! I screamed as I headed for the garbage can! I think it somehow must have missed an essential station in the production line, but I don't care to check if I ever meet another of those! yes you are fair, this one would be too dark and warm for you. If you want to check a Guerlain Bronzer, I would recommed checking out their 4 Seasons line. They have lighter bronzers there. I used to have a few bronzers but this year, I am going for the bronzer stash, lol. yes, hot pink lips go really nice with a tan. By the way your highlighter arrived :-) Have to yet pick it up though. Will let you know. I want that sleeve, but the original Terracotta powders are probably the Guerlain product I am the least excited for. Show me those LE giant bronzers any day and I'll do a happy dance all the while shrieking "take my money and gimme" before scuttling off with my new treasure. If there was a sale, however, I might decide to pick it up on my next paycheck.